WISER hosted their first Open House on Thursday, September 10th 2015. 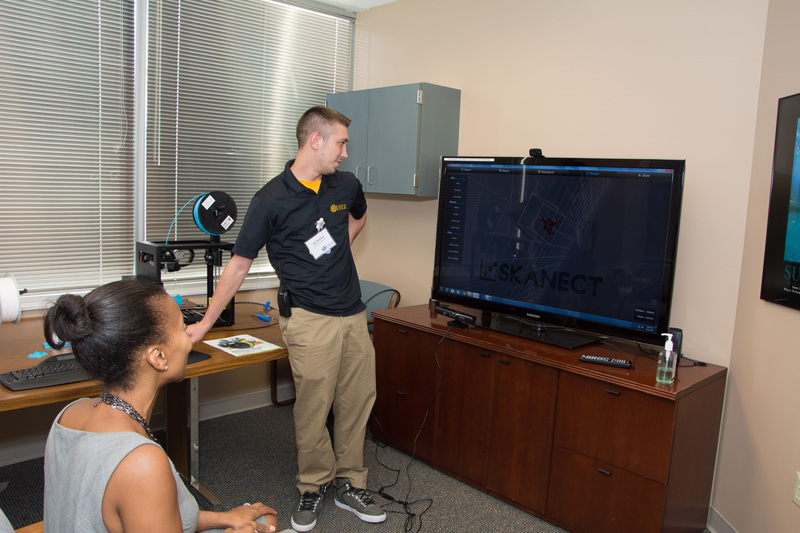 Our goal was to introduce WISER and our educational program support capabilities to potential educators from across the University of Pittsburgh and UPMC. The evening began with a meet and greet with WISER staff and guests. 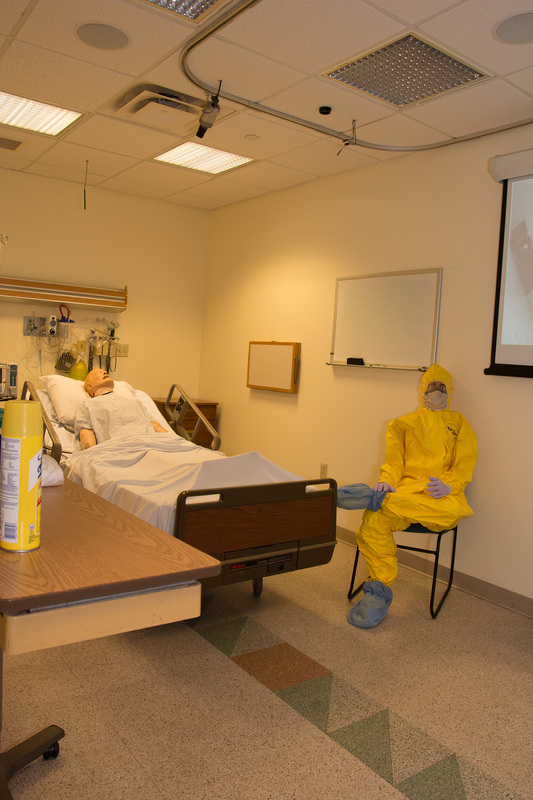 After a short introduction focused on the educational achievements WISER has made throughout the University and Health System, guests were given the opportunity to explore the center on their own or with a guided tour. Guests were also invited to meet with senior WISER staff members to discuss and learn more about how WISER can provide them with the curricular, operational, administrative and technological support needed to make their educational programs a success! The evening rounded out with guests enjoying wine and light hors d'oeuvres. WISER staff would like to thank all of those who attended the Open House and we look forward to future educational endeavors with them. 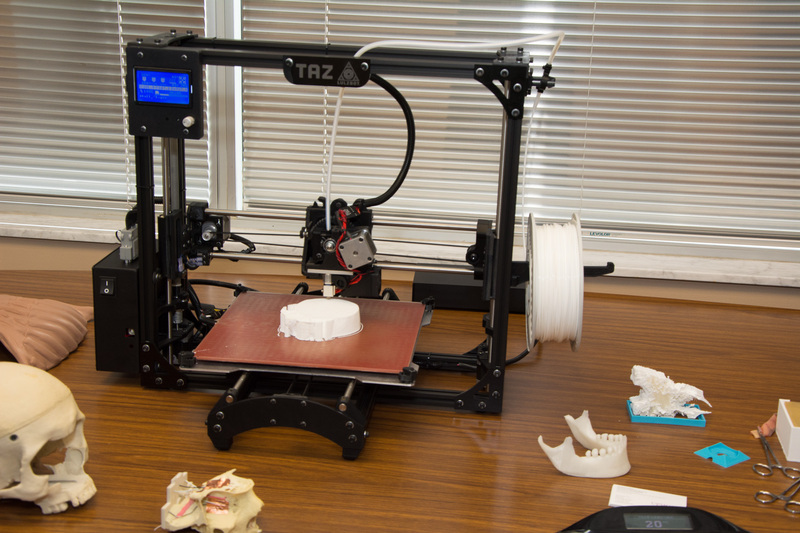 WISER introduces the new 3D Printer and Scanner. Demonstrated by Jay Dunham, WISER Simulation Specialist. 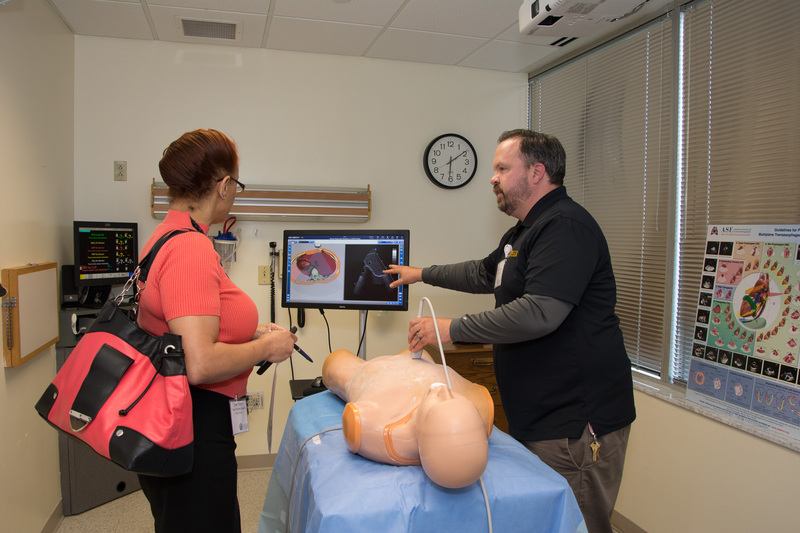 WISER Simulation Specialist, Clinton Clegg, demonstrates the Vimedix Ultrasound machine.